What does it mean to “Crush It”? Just ask Haig Newton, the CTO of ConversionPoint Technologies and Co-Founder of Push. No one knows better than Haig what it means to set a goal, reach that goal, and completely crush it! It is exactly this attitude and level of motivation that has catapulted Haig to where he is now. The work that he and his team do in e-commerce, data management and web technology is more than having a career; it is their passion! HN: We have a platform that is used to optimize eCommerce marketing campaigns by adjusting content pages based on the performance. Over time, we noticed that our users were going through the same process over and over, taking into account different metrics to make a decision, and we realized, we could build AI to do this for us (and them!) It was interesting that watching our customer habits inspired us to look at AI in a way we hadn’t before. This allows our human users to make decisions in real-time on massive amounts of data that before would have been impossible. HN: Our AI makes decisions about what content to display on marketing pages and ads in real time, and on the fly. By using the large number of data points that we have available, and past historical data, our algorithm intelligently decides on what content to lock in which will provide the highest return on ad spend for customers. HN: With the large number of data points available to record today, and the ever increasing availability of processing power, AI will continue to evolve in new and exciting ways. There won’t be a field that will not be impacted by AI, as with more data and the right understanding of it, better decisions can be made that will have the ability to provide a competitive edge. The biggest challenge facing the e-commerce and marketing industry today is shaping how legislation works in regards to data privacy. The majority of the web is paid for by advertising, and that advertising is most effective when there’s more information about the audience viewing the ads. Laws around data privacy and tracking need to be formed in a way that respects individual’s privacy, but also provide a means for sustaining the business model that has long been funding innovation on the web. HN: We will continue listening to our users to understand their needs, and also look for more ways we can incorporate AI and machine learning into our products. With the way our AI is built, the more time goes by, the more data we have, and the better decisions we can make, so we want to use it in as many ways we can. HN: My favorite AI movie is I, Robot, starring Will Smith, because it provides a look into a future where AI is so advanced that humans coexist with robots. It came out in 2004 and really fueled the possibilities with AI. HN: See what you can do with AI in your line of work/industry. 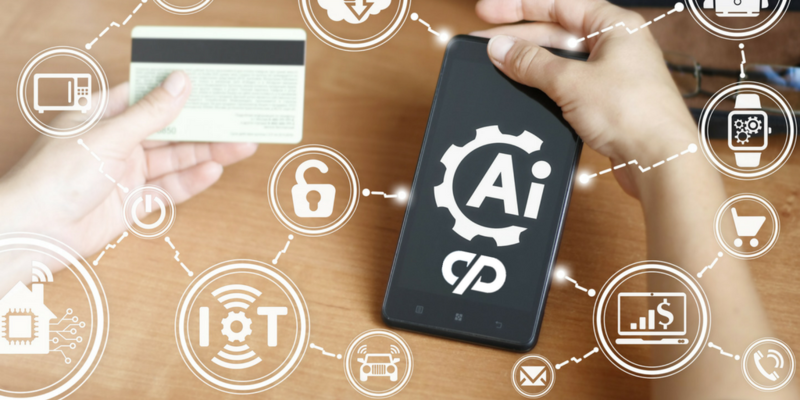 Successfully utilizing AI can provide you a competitive advantage. It is also important to keep in mind ethics and safety of using AI. Make sure the data that you are storing is kept secure and that is being used for purposes that are aligned with your company’s ethics policy. Really keep an open mind. You just never know when AI can improve or impact a service! HN: Our AI allows media teams to spend less time on optimizing their marketing campaigns, and more time on tasks that A.I. tools are not good at, such as research and creative production. We are essentially focusing the human component on what only they can uniquely do and let’s AI take care of the data related tasks. Dare we say it allows us to do more of what we love? I think we see that in a lot of applications. AI is streamlining data-driven tasks and allowing humans to be creative or provide access to technologies previously unknown. We also cannot forget it is providing new jobs worldwide as new tech develops. That is always a good thing! HN: We always tell the story of when our current partner first came into our office many years ago. As he walked in, he said “Where are all of your media buyers?” We looked at him puzzled, while he continued with, “You guys are running massive volume…is there another media office somewhere?” We stated, “No, this is it. We have this tool which automates the campaign optimization for everything we are running. A few years later that partner helped acquire our company to create ConversionPoint. We were always able to do “more” with “less” in the early days with our technology. HN: We are just scratching the surface with AI in eCommerce. As time goes on, we will have more data, and more processing power at our fingertips, and the possibilities will be limitless. At first, simply advancing automation will be greatly beneficial to marketing teams trying to sell online. As time goes on, we will be able to better understand how customers behave and even more about the buying patterns. We believe at some point we will be able to know what an individual needs even before they do, and that prospect is very exciting. AI will increase efficiency in all divisions and departments of a company – from accounting to design to fulfillment. HN: AI is advancing faster than ever. Laws around AI are going to be very important going forward, and we will require legislators that fully understand the science behind it to properly regulate it. We do worry about how AI and data privacy will reconcile with each other. The vast amounts of data we need in eCommerce AI may run into roadblocks with stricter regulation. HN: I believe that large fields with heavy workflows will benefit first from AI, much like we have. This includes the medical, financial and service industries. Any time you see a common sequence of events over time, AI can help to automate that workflow, and create the efficiencies of such a technical investment. In eCommerce I believe we will see hyper-personalized shopping experiences, even more so than we do now. I also think we will see a hybrid model like Nordstroms is planning where you can go in and look at merchandise but not purchase it. All of that is handled online, but will integrate directly from your phone onsite and powered by AI anticipating your purchase habits. It could potentially even guide you through the store by knowing your purchase habits.